Made from Natural pipe tobacco. Each carton contains ten single packs of original Richmond Coffee slim cigarettes. Original factory sealed. Manufactured by Richmond Tobacco Ltd.
Filter Cigarettes in flip Top box. Tar 5mg, Nic. 0.4mg. Slims Queen size 99mm. Richmond is a Tobacco brand that has not only a deep and pleasant tobacco flavor. However additionally a unique and distinctive meaning. It is often translate as wealthy (Rich) Society (Monde). 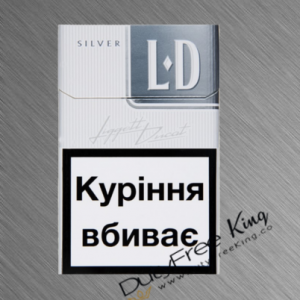 If you want to feel and check out the style of such a high-class Cigarette Richmond Coffee Cigarettes is the answer! Richmond is additionally the capital of the state of Virginia situated within the east-central part of the country. Richmond is the capital of the Confederacy throughout the American war. The notable King of England Allan Edgar Allen Poe, a story author, lived in Richmond for much of his childhood. The Richmond way is to craft the cigarette in a certain way. When you taste a Richmond Cigarette, you can feel the sun-dried pipe tobacco. 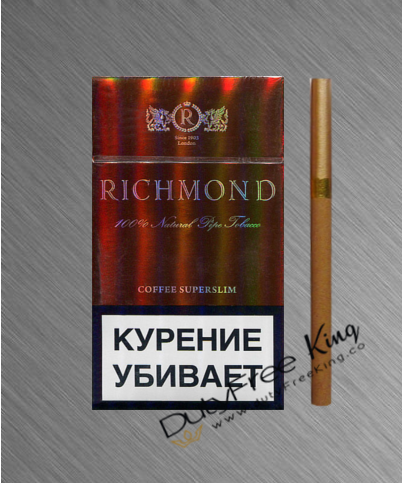 Unique tobacco elements of the Richmond Coffee brand with its special filter guarantee an additionally refined smoking experience than other cigarette brands. The most prevailing color of the Richmond pack is the gold color. The Trad Mark owner select this color because it is understand gold symbolizes wealth and reasonably. However, it’s additionally the central image of excellent health. 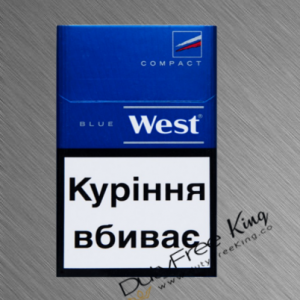 These are the most characteristics of Richmond Cigarettes – affordable price & High Tobacco Quality! The aroma of Richmond coffee cigarettes reminds me of coffee with milk, which I expected. When smoking Richmond coffee, it is not causing the eachy scratchy feeling in the trow. Just a smooth and soft sense of smoking. The Richmond cigarettes do not leaven at the fingers this disgusting cold smoke smell. It leaves a sweet, slight coffee smell at your hand or cloth what disappear within 20 minutes. The smell of the cigarette is comparable to an expensive pipe tobacco with a sweet touch and the aroma of coffee.